The 5th edition of the Black Press Profiles of Excellence, honouring and recognizing Greater Victoria’s vibrant business community has just been delivered to homes throughout the Capital Region. 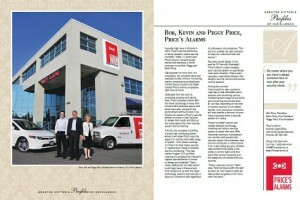 Profiling Price’s Alarms and 10 other businesses in the area, we are proud to have been chosen to appear in the feature. The complete profile can be viewed as a PDF by clicking on the image below.